a tale of twin quilts. Here’s another old one that I finally finished up! I’ve been trying my best to alternate new quilts with older quilts, and it’s been working well so far. After working on something new, I decided it was time for this one to see the light of day. Maybe you remember this one? After my sister snagged this great vintage quilt at an estate sale (something I had the chance to buy first! ), I decided I wanted to remake it so I’d have one too. I made mine out of Liberty of London prints – I scrounged my stash for blue prints and am happy that I was able to find enough to recreate this design. I love the churn dash block, and think it’s particularly fun when put together without any sashing. I tried to keep my version as similar to the inspiration piece as possible, and I’m happy with the outcome. It’s not a vintage quilt, but it’ll have to do! I splurged on a Liberty print for backing from Nido and got it basted. I knew I wanted to do a bit of handquilting, but since I don’t really trust my hand quilting skills, I also knew I’d want to add a bit of machine quilting as well. I decided on some diagonal straight lines, and then went ahead and tied the centers of the larger white squares and handquilted a square in the center of each of the churn dash blocks around the perimeter. 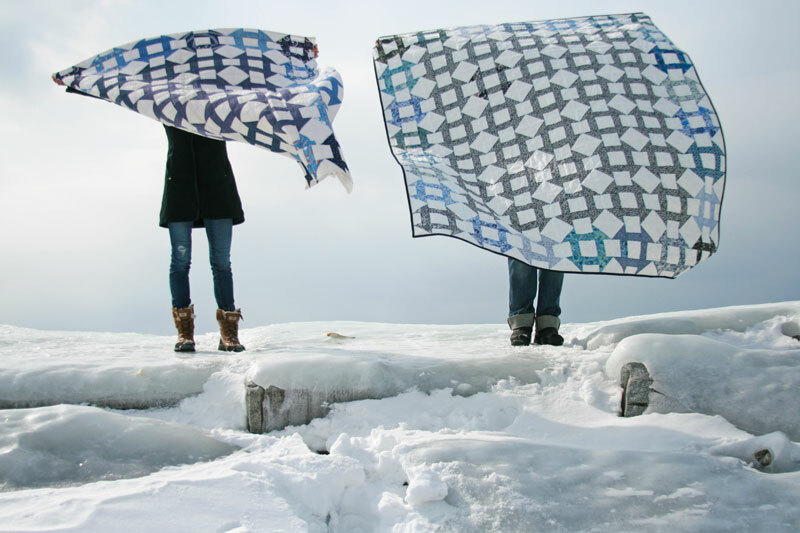 I talked my sister and her husband into yet another quilty photo shoot on the frozen lake. They weren’t thrilled with the icy winds and the fact that we were all without hats and mittens… and then Erich fell into a big hole. I’m not sure they’ll be up for another photo shoot in the near future! This entry was posted in [search] Other Quilts, Fabric, Finished Quilts, Posts about Quilts, Quilts and tagged churn dash, churn dash quilt, handmade, liberty of london, quilt, quilting, vintage quilt. Bookmark the permalink. 14 Responses to a tale of twin quilts. Beautiful quilt. You are lucky to have sister so close and to be able to visit the original quilt sometimes. Love the photo shoot….spill and all. These two quilts are absolutely lovely Ashley! It was great to read about the house sale back in 2013 and how your sister acquired the first quilt. The centre of your quilt is so bold and plays tricks on the eyes – and yes, the Liberty fabric is gorgeous. I can’t get over how much snow you still have around in Vermont! 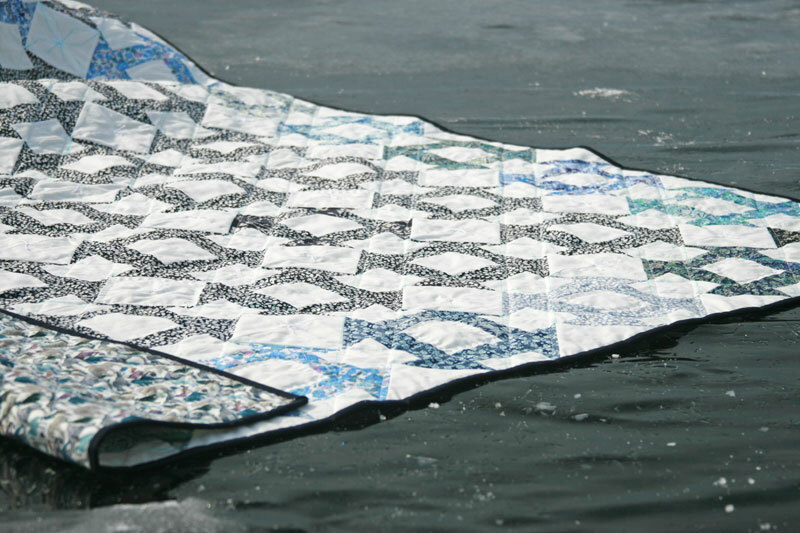 Is there any chance of a churn dash tutorial for this quilt? The secondary pattern created is fabulous. 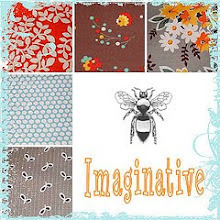 And I love the fabric/colour selection, too. I remember this-these quilts. I bookmarked your prior post as inspiration. 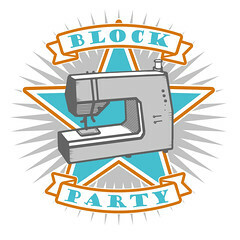 I am taken to traditional blocks with a modern style. 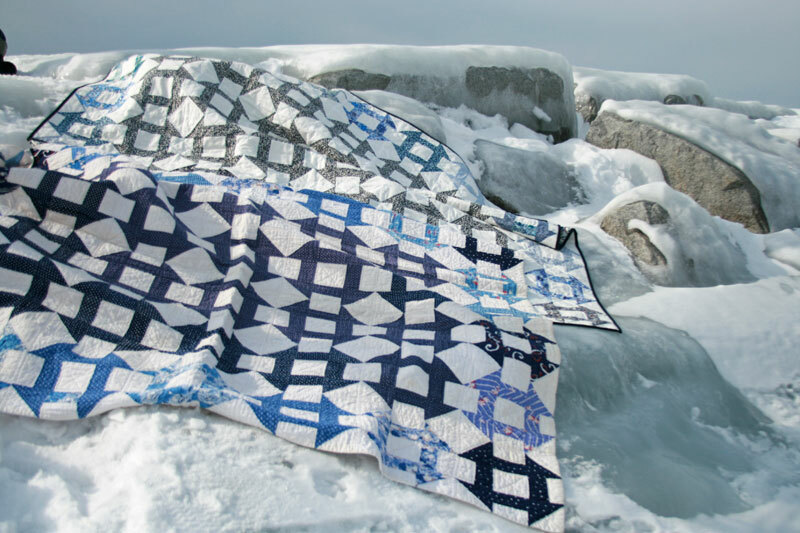 I have never noticed the (white) squares/diamonds in churn block quilts, but they are just as prominent on yours as are the “churns”. I love it, and suppose it is due to the absent sashing. great choice. and good that you splurged on the backing. I also like the frozen lake photos and appreciate all sacrifices of those involved in the photo shoot! I love all your quilts Ashley. I can’t figure this one out. Is it only turn dash on the outer edges? What is the block inside? Okay, I can’t stop looking at the top photo. 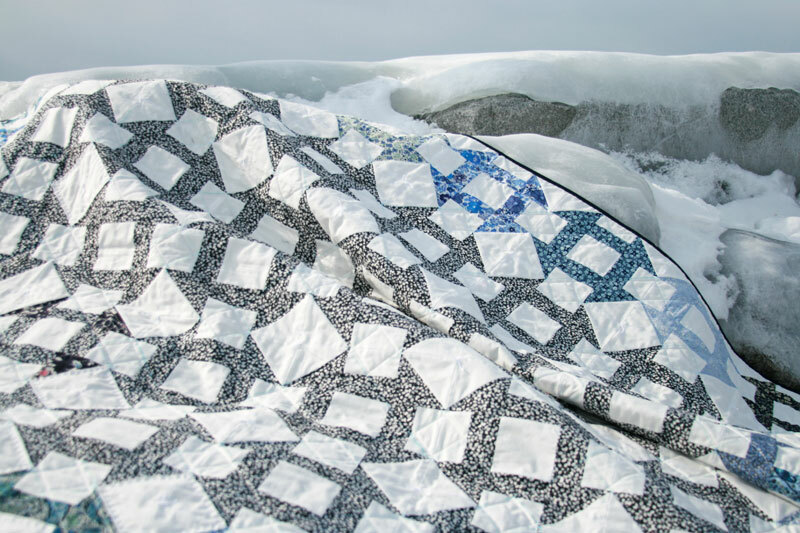 You can feel the strength of the wind from the way the quilts are whipping around and the coldness of it from the way the lovely quilt models are bundled up. I am a native Californian and have been in snow like that exactly once. Terrific picture and lovely quilts. Can you tell me what size you made your blocks? Great quilts. I’m guessing you must be in the northeast because of the wind and snow in the background. 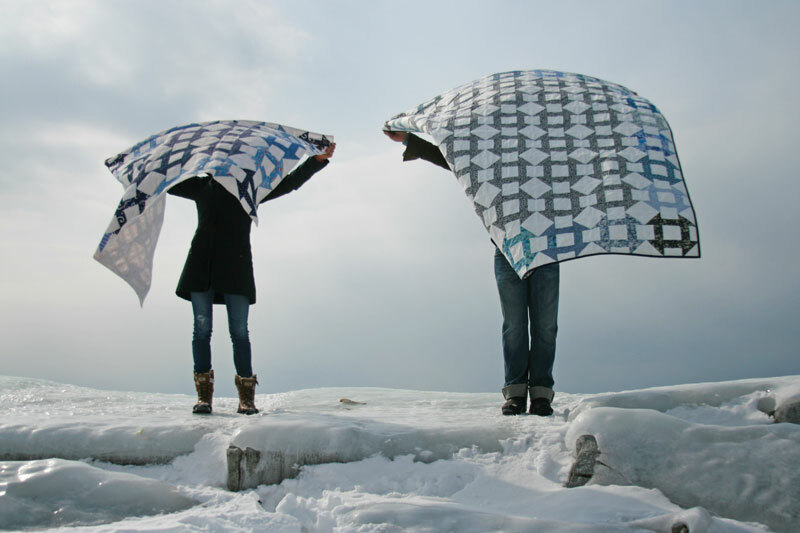 Hi- love these photos and of course, your quilts. Your blog was the first to inspire me to start quilting. Thank you for all your posts and sharing your beautiful creativity! Your quilt looks great. Glad you chose the Liberty backing. Love that you tied, hand and machine quilted!